Is Germany's orchestral paradise as good as it seems? Are France and Britain guilty of a lack of musical interaction? Should string teachers use fingerboard stickers for beginners? 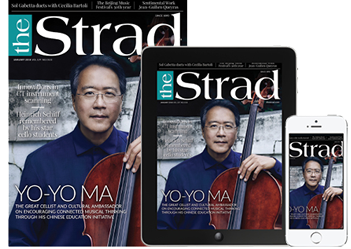 This article is exclusively available to members of The Strad community. JOIN HERE FOR FREE. Already a member, please SIGN IN.